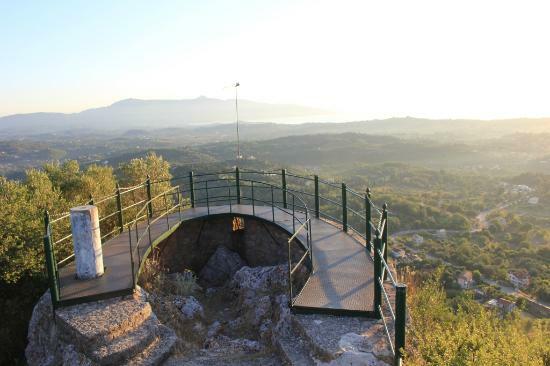 Kaiser’s throne is located in Pelekas a village close to Kontogialos and Glyfada beaches, in an altitude of 270m. Kaiser Wilhelm II (link) used to visit this spot to enjoy the sunset (hence the name). The panoramic view of the Ionian sea and the Island mainland will definitely pay off a visit there, especially during the sunset. We also need to mention the fact that binoculars are provided as well, for visitors to enhance their experience. 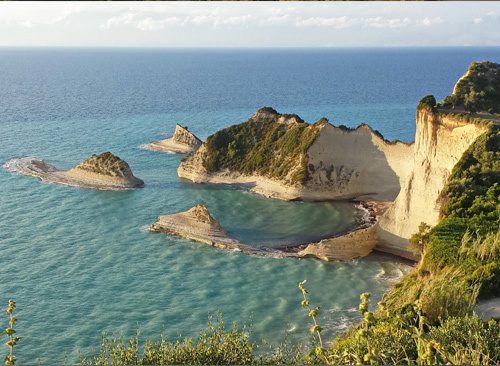 Crystal clear blue waters, green landscape, and unusual rock formations compose this cape near Peroulades traditional village and around 35km from Corfu Town. The area is isolated even during high season, giving you the opportunity for a swim in the tiny beaches formed between the rocks. The tranquility, natural beauty and the view of Cape Drastis will definitely amaze nature lovers and provide memories for a lifetime. Next up is a beach located in the South Western part of Corfu. 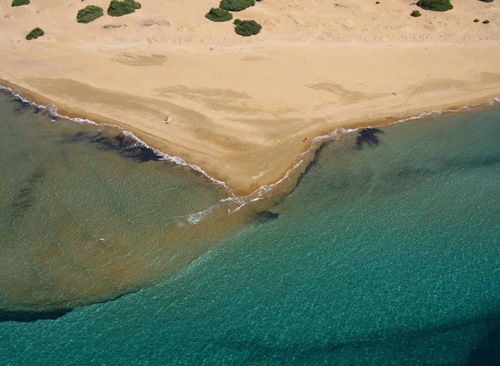 Issos distininguishing features are it’s vast shoreline, the sandy dunes and the Cedar forest surrounding the area. Due to the presence of Korission Lake to the East and the wildlife which inhabits the area, Issos along with Chalikounas Beach (which is located to the North), are protected under Natura 2000. The Cedar Forest which surrounds the area is comprised by a unique species of Cedar trees which flourishes in north Mediterranean coastal regions.A visit to Issos beach provides an exciting combination of swimming in a wonderful beach and hiking through this amazing forest. 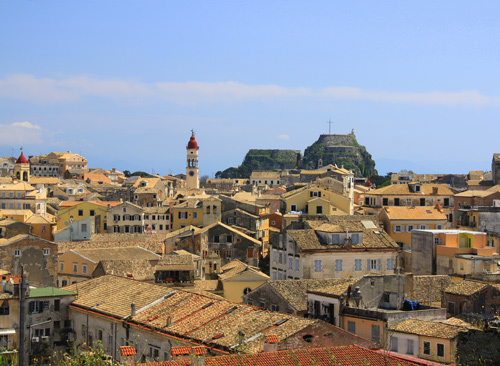 The Old Corfu town has been listed in the Unesco World Heritage List since 2007. The mixture of various cultural influences of countries which occupied Corfu during different historical eras is apparent throughout the town. The places of interest are endless. Two Venetian Fortresses, the famous Spianada square, Liston, St Spyridon church with it’s distinctive bell tower. Of course, someone cannot miss Campiello a traditional district and one of the oldest districts in Corfu. Propably the most significant archaeological site in the island, and the region where Corfu town was located during ancient times. The findings indicate the region was inhabited as early as the 8th Century B.C. 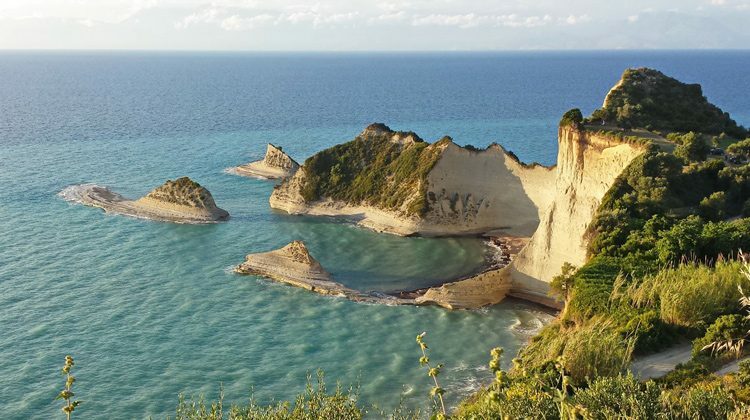 Today the area is known as Kanoni and it stretches from Chalikiopoulos Lagoon to the bay of Garitsa or Alcinous’s port (Alcinous was the king of Corfu in Greek Mythology). 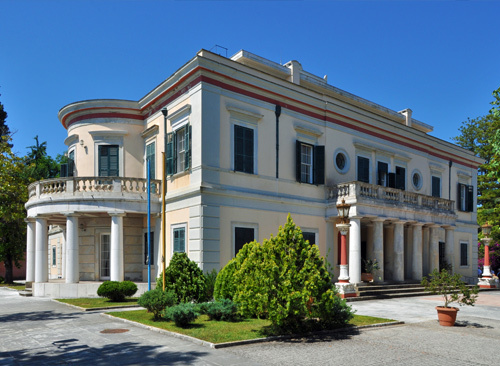 The archaeological site of Paleopolis contains the villa of Mon Repos, built in 1830 and used by the former royal family as a summer residence. The estate contains various ancient monuments, and vegetation of trees and plants collected from all over the world. The path around the estate also leads to a secluded beach where you can enjoy swim with the view of Old Corfu Fortress.